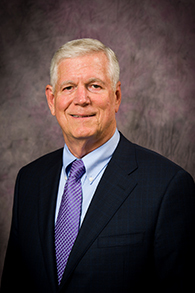 The Kansas Board of Regents announced the appointment of Richard B. Myers as the 14th president of Kansas State University on Nov. 15. My daughter, just home from college for her first visit fall semester freshman year, was heading off to meet friends. I’d spoken those words every night she went out in high school but, this time, they caught in my throat. Was it absurd to give her the same old curfew? At school, she lived beyond my supervision. She was in charge of completing homework, dealing with professors, not to mention when and where she went out, with whom, when she came home and a host of other decisions I didn’t want to think about. For the third consecutive year, Kansas State University has received a Higher Education Excellence in Diversity, or HEED, award, for its commitment to diversity and inclusion initiatives. The university also received the 2014 and 2015 HEED awards, which are from INSIGHT into Diversity magazine. The HEED award is the only national honor for U.S. colleges and universities that demonstrate an outstanding commitment to diversity and inclusion. Kansas State University was one of 83 recipients chosen nationally for the award and will be featured in the magazine’s November 2016 issue. A letter from President Myers to campus Nov. 1, 2016. 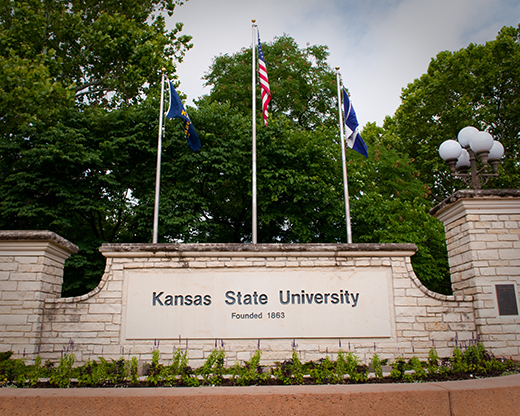 While there have been many productive discussions regarding social justice and race relations at Kansas State University, a recent letter from the Black Student Union has called for more action. I will address each of the group’s four major requests. 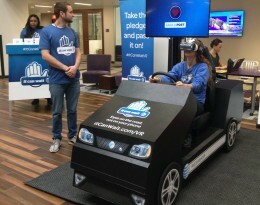 Students test out a distracted driving simulator. Union Program Council, the K-State Alumni Association and AT&T have joined together to save lives through the Don’t Text #JustDrive campaign. Students and supporters of Kansas State University can challenge themselves and others to stop texting and driving.